Did you know that only 23 per cent of people in core STEM occupations in the UK are female? Or that only 4.5 per cent of commercial airline pilots are women? This isn’t a throwback to 1957, it’s now. This is the world our children are growing up in. A few weeks ago, Libby came home from school and informed me that she wanted to go to science club. If you read my blog regularly, you’ll know that Libby wants to do everything. Music, drama, swimming, cycling, running, writing, dancing, climbing, cricket, rugby – you name it, she wants to do it. As you can imagine, there comes a point where I have to say no. But this was different. Science club isn’t free, it’s run by an outside agency and it costs a fortune. Libby would have to drop another club to fit it in, but I knew it was worth it. Not because she loves science or needs extra tuition, but because she’s a girl. I will fiercely defend my children’s right to be who they want to be. Hairdresser, doctor, builder, engineer, florist or whatever occupation take their fancy. But while they are young, I intend to foster their interest in STEM subjects as much as possible. Not to give them an advantage, but to ensure they are on a level playing field. 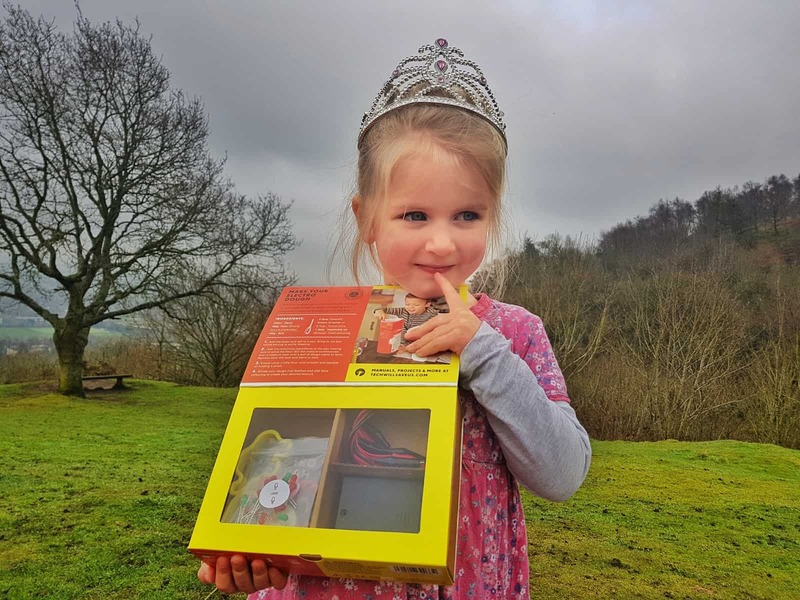 Not long after Libby decided to join science club, Tech Will Save Us asked if we’d like to review one of their science kits. Of course, I jumped at the chance. Lia isn’t in school yet and doesn’t even know what science means. But she’s not too young to enjoy it. Tech Will Save Us electronics kits start from 4 years and up. And they are the perfect way to spend an afternoon. The kits are relatively inexpensive and combine learning with play. Avengers fans will love the electro hero kit. They can make dough creations that light up and make super hero sounds. If that’s not what your children are into, have a look around the other kits. 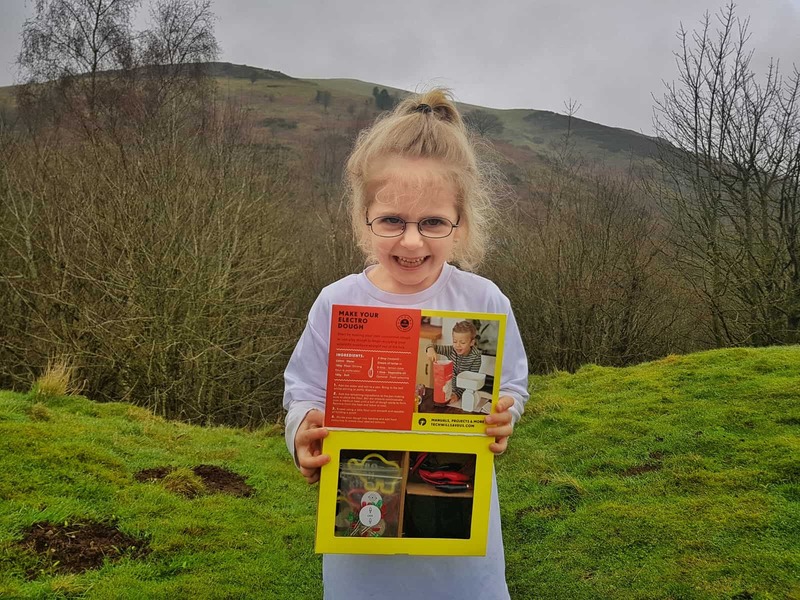 Both craft and circuit building skills are learned and utilised while you have fun with kitchen ingredients and basic electric circuits. 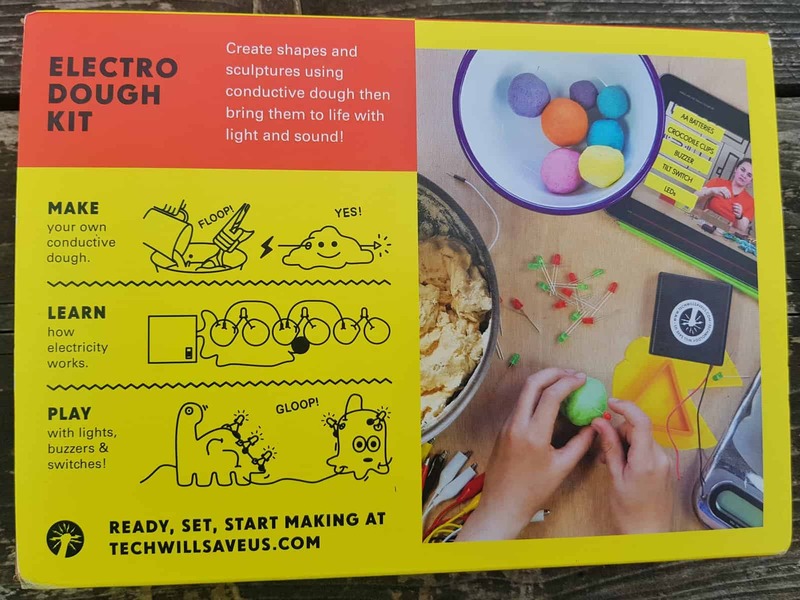 With your Electro Dough kit, you get everything you need to make an electrical circuit except for batteries. I’d advise having four AA’s on hand before you start so you don’t end up having to run to the shop covered in flour from dough making like I did. On the box is a recipe for making your own dough. It’s made entirely from ingredients I had in the kitchen cupboard anyway – water, flour, salt, lemon juice and vegetable oil. You can use cream of tartar instead of lemon juice but I have no idea what that is. You can also add food colouring but my girls said they’d rather keep the dough white. I had to be heavily involved in making the dough because it needs to be boiled on the hob. But the girls were able to mix the ingredients together to start with and kneed it into a dough when it had cooled down. The kit includes some little dough cutters in various shapes. Lia decided to use these, but Libby preferred to make something freeform. 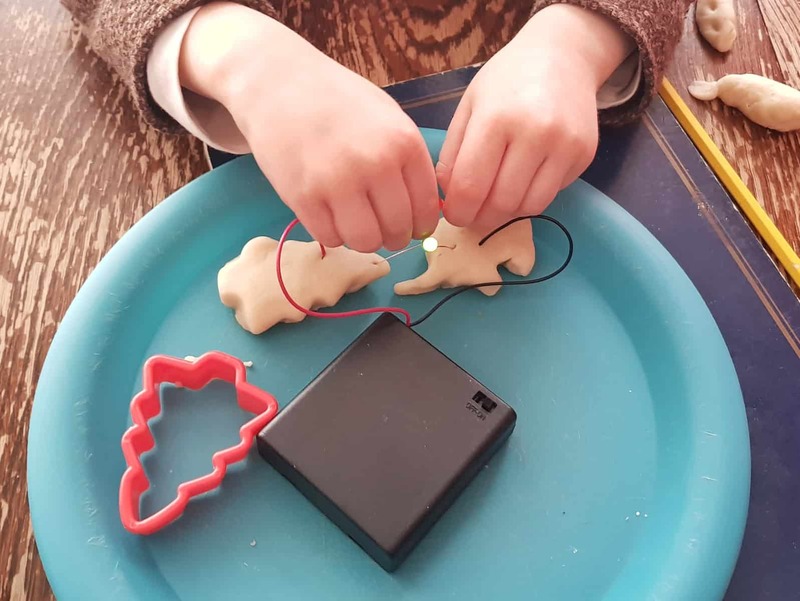 We then put a couple of their little creations together with a light to create a circuit. The girls understood that the longer leg on the light had to be on the red side of the circuit. When they got it wrong, the light didn’t work. We also managed to blow a few lights by short circuiting them. They were fascinated that they could stick the wires into their dough and it would make the lights work. In fact they were so excited about it that they would happily have played all afternoon. 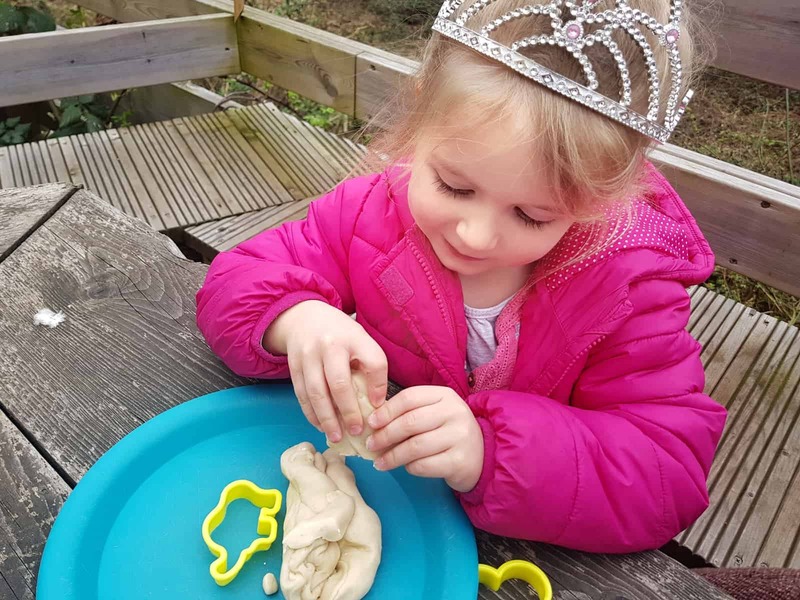 Because you are using both electricity and small parts, I would strongly recommend close supervision while playing with the electro dough kit. But that’s no bad thing. 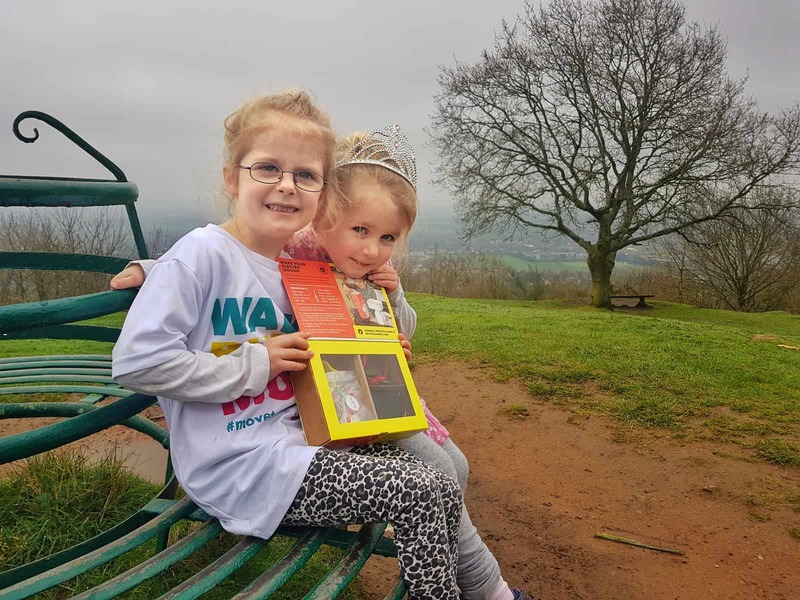 It also allows you to be on hand to answer any questions and even learn with the children about what works and what doesn’t. 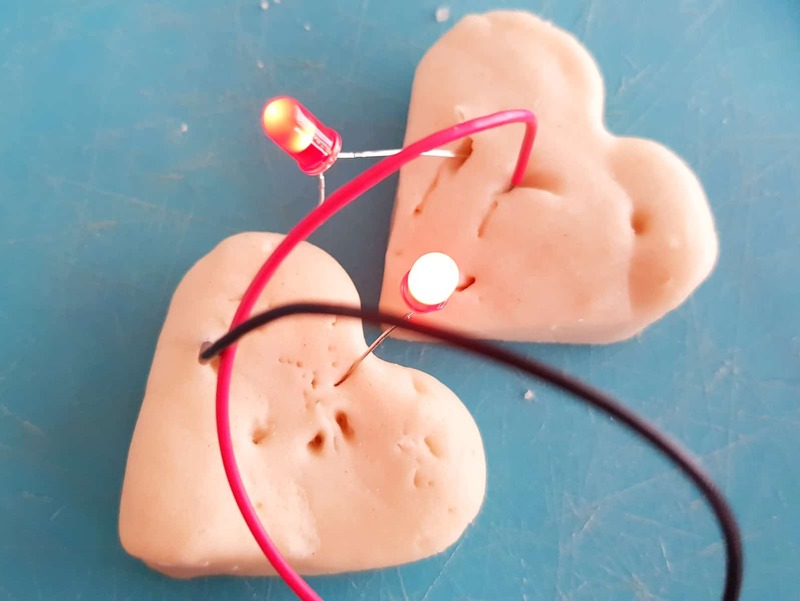 We only created very basic circuits, but we’ve kept our dough to play with again. 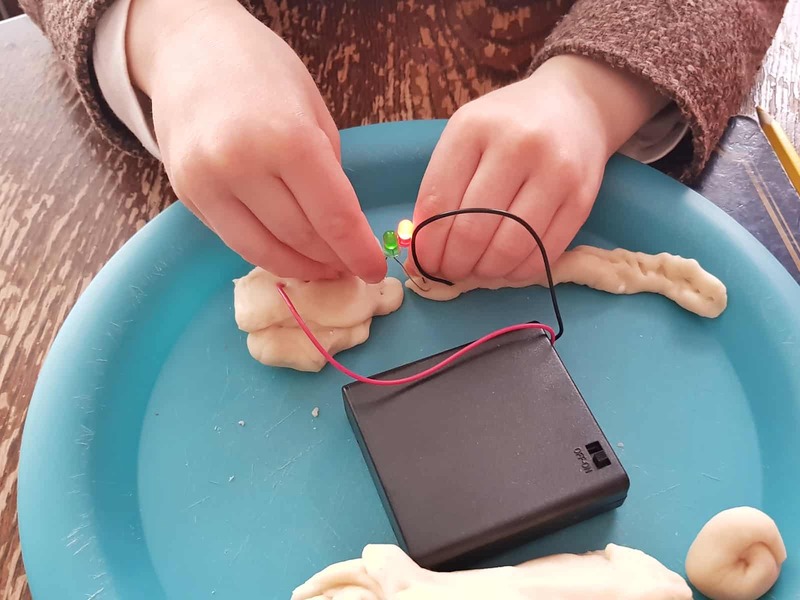 The process of making the dough through to circuit creation was lengthy due to the time it takes to heat and cool the dough. If you prefer to bypass this bit, you can buy play dough instead. I personally thought it was interesting for the girls to know what went into the dough to make it a conductor. But next time, we’ll be grabbing the kit and the pre-made dough and sitting straight down to get creative. And I suspect we’ll be there for hours making electrical masterpieces. Please note, this kit was sent to us free of charge for the purpose of an honest review and I was compensated for my time. All views, opinions and mini scientists are my own. These kits look brilliant! I know my daughter would love them. Off to follow the link now…. They’re so good, I hope your daughter enjoys it if you get one! Hi Nat, children should be encouraged to do whatever tickles their fancy whatever their gender. I can’t believe that only 4.5 commercial pilots are women either! That sounds so archaic. 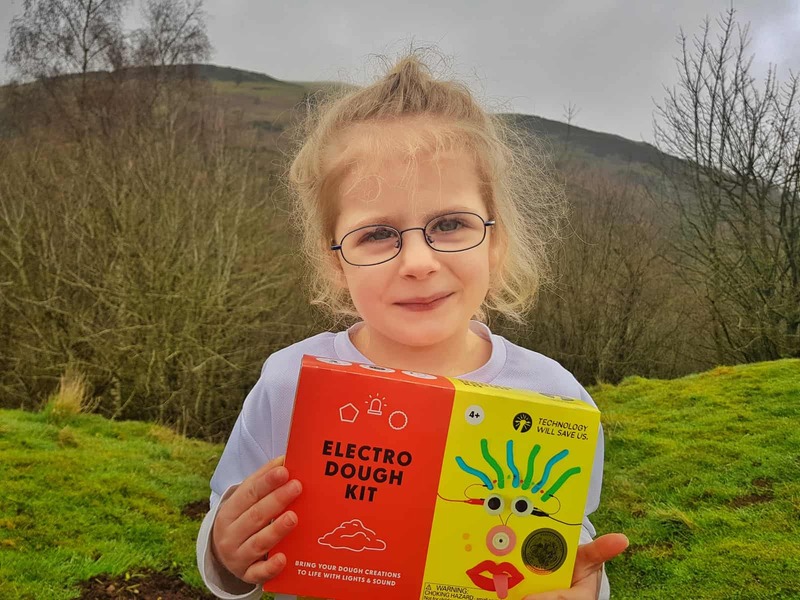 I can see how the electro dough kit would fascinate children, I’d probably be fighting them off to have a play myself. Yes I agree. I couldn’t believe that statistic either. They’re fab Laura, I’m sure Alice would really enjoy it.